Version 18.01 is now available for DOWNLOAD! Added support for font size and italics to the Text filter. Another important fix for accuracy of XML time values, particularly for non-integer frame rates. The following is a screenshot showing the new Mask filter with a diamond shape. This filter only writes into the alpha channel of the video, which is the transparency information. 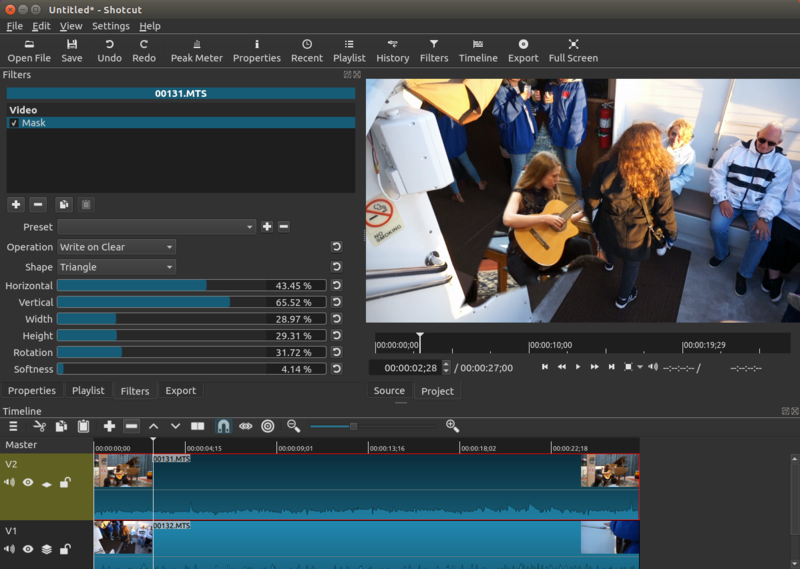 Therefore, it only shows results when compositing two video tracks on the Timeline.